Welcome to our Samantha Walker Creative Team Monthly Blog Hop! Are you ready for some inspiration? You should have arrived here from AJ's blog, however if you didn't, you should hop onto Samantha's blog, as that is where all the pretty creations start, and you don't want to miss out! Today I wanted to share a fun card for Valentine's day. If you have a Silhouette you probably have seen the card base I used in Samantha's portfolio. It's called Heart Chevron. So love the look of this, not to mention chevrons are so popular right now. Than do you see the pretty frame? 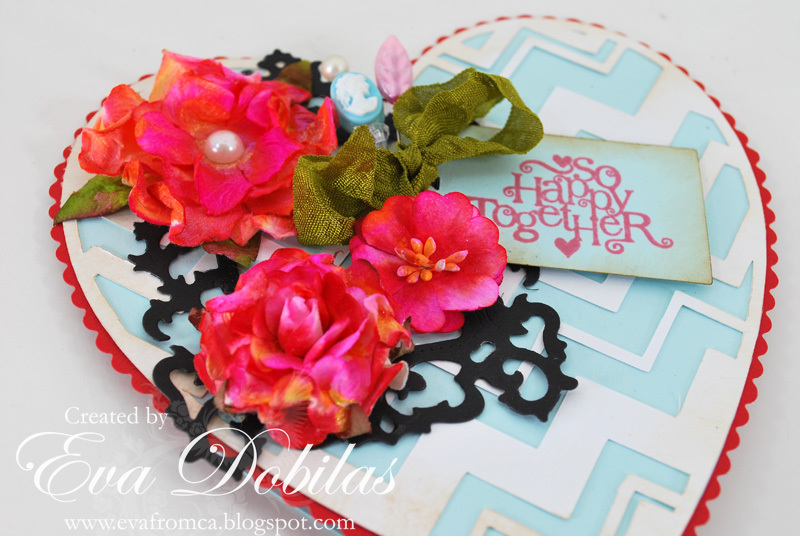 It's from Samantha's newest Spellbinders die set called Antique Frames and Accents. I really can't stop designing with this frame! My stamped sentiment is also Samantha's Unity Stamp set called With all my Heart. I also added some pretty Petaloo flowers, which I painted with Creative Imaginations Luminarte products while at CHA demoing with their Color me Crazy line, so I thought they would make a pretty addition to my card. This Month, Samantha is giving away a set of Spellbinders dies…the Blossom tags and Accents set! To enter, just leave a comment on my blog during February 8th and February 12th. Winner will be announced on Samantha's Facebook page on Monday February 13th. And since this is the last stop it's time to hop over to Samantha's Facebook page and do let her know how you enjoyed this inspirational hop! 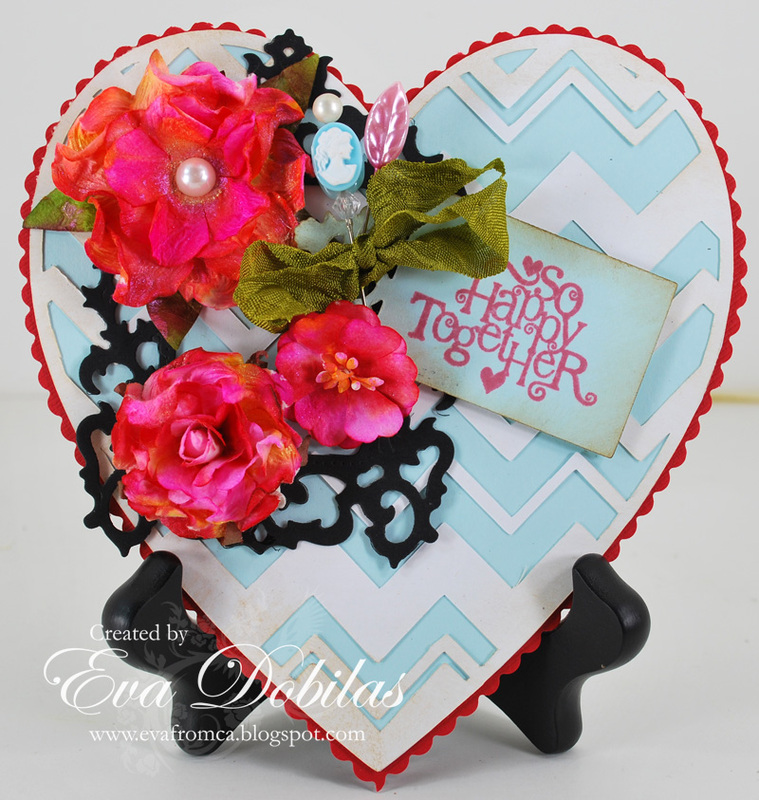 Thanks for visiting and have a fun blog hop!